A mix of clouds and sun early, then becoming cloudy later in the day. High 62F. Winds NNW at 5 to 10 mph..
Mostly clear skies. Low 41F. Winds WSW at 5 to 10 mph. It’s time for New Year’s resolutions, but this year I will forego my own petty, hike more-eat less prospects and substitute in their place my hopes for our nation’s outdoor future. Above all else, I hope we continue to defy the calls to sell off our public lands to private individuals and corporations. These sales will CREATE MORE JOBS, proponents say, an easy, though shallow rallying cry that plays to the disadvantaged and the shortsighted. Our public lands are our greatest national asset. In many ways they define us. No matter how such sales are dressed up or disguised, their genesis is greed, pure and simple. Many times in the past the American public has been tricked into supporting legislation that was against their better interest. I hope this time we’re smarter. With a little luck our legislators can rise above the yammering of All Terrain Vehicle riders and their lobbyists to establish a requirement of visible license plates on ATVs used on public lands. Right now most states have no licensing requirements, allowing unethical ATV riders to ignore road closures, bypass closed gates and break their own trails with almost no threat of identification or arrest. There are so few enforcement officers on public lands the possibility of apprehension is near zero. Attempts by private citizens to obtain personal information from the riders invite confrontations and conflicts with potentially disastrous consequences. Licenses would only be required on vehicles traveling public lands and would allow easy identification of violators. There is no down side, except for the violators. The minimal license funding could be used to repair damage done by the lawbreakers and hire more enforcement personnel. The increasing use of technology to aid hunters seems to have paralleled our declining respect for the animals we pursue. This is reflected in the rising use of drone-mounted cameras to scout out big game animals. I understand the attraction; it is exhilarating to see the world from the sky, but the use of drones to find prey eliminates the effort and woodcraft involved in scouting for animals. People who would use drones to find big game care nothing about the hunt, only the kill. They have lost respect for their prey and an appreciation of the sacredness of the hunt. I hope the use of drones by hunters will be prohibited nationwide, period. Finally, I hope we can find a way to end canned big game hunts in small, fenced enclosures. Obviously, we cannot depend on the ethical concept of Fair Chase; people who would kill a pen-raised animal in a small enclosure are immune to the ethical sideboards true hunters accept. There are people who would argue that canned hunts in small enclosures do no harm and in fact, wait for it, CREATE JOBS. But they are mistaken; such hunts do a great deal of harm. They crumble the foundation of fairness, respect and tradition upon which our hunting heritage is built. They present hunters as simple killers and undercut the public support upon which our hunting future depends. Canned hunts for big game do nothing but harm. So there you have it, my hopes for 2015. My resolution is to do whatever I can to make those dreams a reality. I hope you will join me. If you agree with any or all of these ideas, you should consider membership in the Backcountry Hunters and Anglers (www.backcountryhunters.org). It is the most effective and best-focused organization I know working on behalf of fish, wildlife and our wild lands. Have a great 2015. 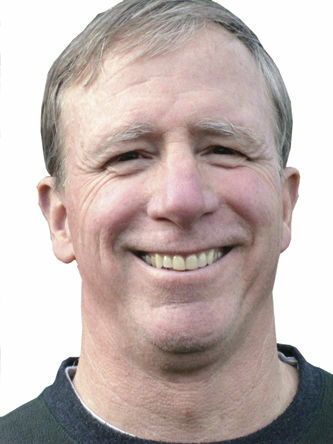 Pat Wray writes about the outdoors for the Corvallis Gazette-Times. He can be reached at patwray@comcast.net.